ERP Software has firmly positioned itself in the business market. No matter what size and characteristics, ERP is strong in action helping the business industry cut down their unwanted business expenses, making the business organization work more efficient and productive. Depending on the complexity and nature of business workflows, the importance of implementing an ERP and its benefits get magnified and reduced. For, instance, in a meat processing industry, the role of ERP is pivotal and crucial as the meat industry deals with perishable goods. For meat processors, the quality of a product is the top-notch element they must uphold for ensuring their successful business run. The role of ERP in the meat industry has a significant role to play in keeping the timeliness and retention of good quality products. Here are the benefits a meat processing industry can avail from an ERP implementation. Unwanted and additional business expense always result in business woes. The aim of any business is to maximize their productivity with minimal investment. Same in the case of a meat industry, here the wastage of resources i.e. food can result in great expenditure resulting big loss to the industry. With an ERP system implementation in a meat processing industry, the meat processes can seamlessly trace their product. An ERP gets you with the date and status of every product quickly and easily, enabling the quick decision making for the food processors. An ERP implementation in meat industry helps in tracing different batch numbers pertaining to stock, also timely monitoring the information relevant to each batch such as date and freshness of meat. This relevant information derived from the ERP software thus helps the meat industry from eliminating the wastage of resources via preventing the food spoilage from occurring. Odoo ERP embeds the meat industry with an advanced traceability. 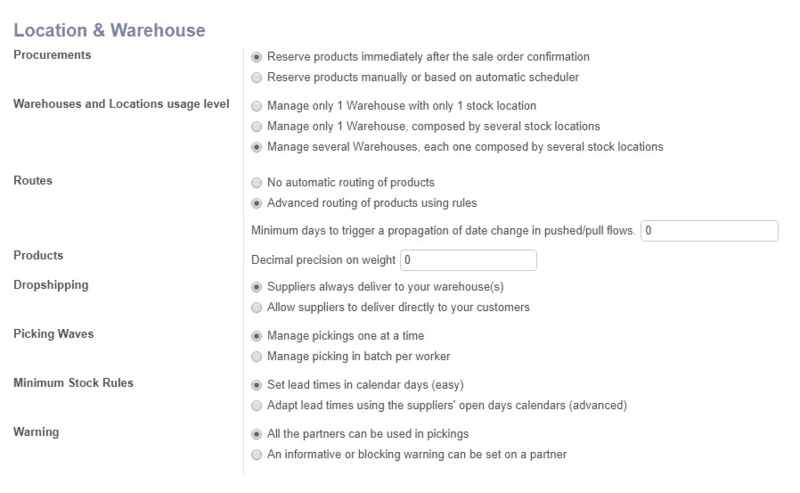 Odoo’s double entry management makes every operation formalized and structured with respect to stock moves. This is significant to meat industry as it enables the meat processors to search the products, ensure their respective moves such as from fridge to freezer and also easily find out the cause of any gaps in respective stock moves. Odoo ERP comes with upstream traceability and downstream traceability tracking every movement right from supply to delivery. Odoo traceability features include Lots Tracking, Activity Log, Serial Numbers, Perpetual valuation making it applicable to different industry domains. An ERP implementation comes with help in tracking the information pertaining to a batch. Secondly, an ERP implementation in meat industry facilitates the meat processors in automating their movement of goods from time to time for example: from fresh to frozen, helping the products in their longer retention avoiding the possibility of spoilage. Odoo enables with efficient stock moves. It helps in tracking the past stock transactions pertaining to a product or a given location. Every operation is clearly laid here and one can seamlessly filter various fields to retrieve the operational information about an order, production activity, source location, or any destination. 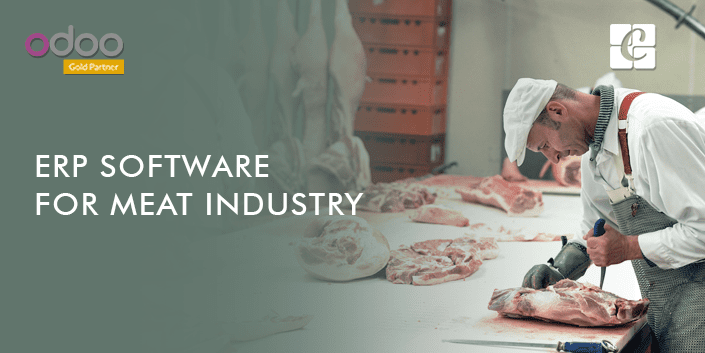 With an Odoo ERP implementation, the meat industry processors can also seamless automate their movement of products from one location to another saving much time and labor. Food safety recalls aren’t predictable and food processing units such as meat industries companies must be quick and efficient in recalling the products which are unsafe or unfit for consumption. Any failure in handling these recalls can land the business industry in big trouble like legal and economic consequences. Still, many food industries run on spreadsheets or mere manual paper processing for executing these actions. However, it becomes strenuous and challenging when the industry grows in size. As a company grows in size, the norms pertaining to food safety also comes into play. The company is demanded to adhere to protocols like GFSI, SQF for maintaining the food safety standards. So the question is how food processors like the meat industry can manage their recall systems. The solution is an efficient End to End ERP solution. An ERP implementation in meat industry makes it easier for the meat processors to transact their job quickly and accurately with no scope of error. It helps in enforcing the business workflows with desired regulation and standards like FDA, GFSI, and SQF. An ERP helps in streamlining and automating the recall processes in the meat industry, thus grounding the meat industry with an efficient product recall system and also managing the proof that meat industry is following every recall procedures, giving full transparency to the process. In a business, customers are seen as invaluable assets as they underline the business success. A happy and satisfied customer comes with a timely and quality deliverables. Especially the timely delivery comes as a top-notch factor and it is even more crucial for the meat industry as their goods are perishable. The meat industry should deliver their products on time. Though the timely delivery is important for all industries, it’s even more crucial for meat as the meat should be fresh and consumable at the time of purchase. Any delay in delivery causes the food to get spoiled, resulting in a great business loss. The real-time information generation by ERP software thus helps the meat industry to execute their sale of action. An ERP implementation comes with high appealing benefits like providing accurate information upon the delivery dates, initiating a transparent, timely internal communication for the product movement. Odoo ERP comes with robust features, executing a seamless, and on-time shipment and delivery of goods. The Open ERP can help the meat industry in managing and organizing their delivery of goods across customers on time. 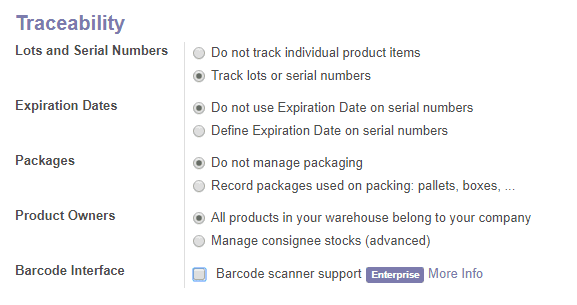 Odoo helps in generating the packing slips for every order being shipped in a provided batch. 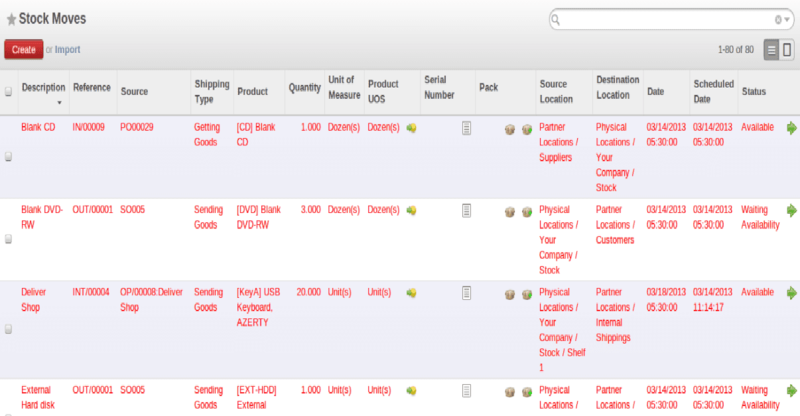 To know more in detail refer our blog shipping management in odoo. > Providing promo offers and discounts for particular customers. > Access to a real-time overview of business operations enabling easy decision-making. > Streamlining the business processes like seamless transfers from one location to another. > With an integrated ERP, the business can reduce the amount of software for managing different departments in the industry. > Real-time information from start to finish. > Limited cost and resource wastage. > Efficient supply chain management. > Smart and efficient accounting for sales and purchases. > Maintenance of Food quality and standards. If you are interested in Odoo Implementation for your business, kindly drop your message to info@cybrosys.com. We can guide you better with Odoo support plans for executing your organization goals. Cybrosys is an Odoo ready partner with more than 10 years of experience in ERP implementation and allied services.